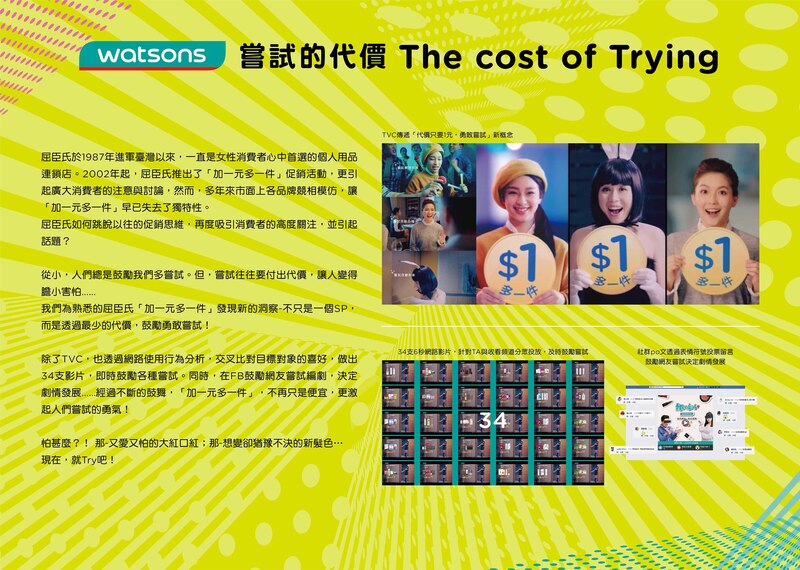 For campaigns that ran with a tailored, retailer-specific idea and excecuted that idea at a single retail chain. 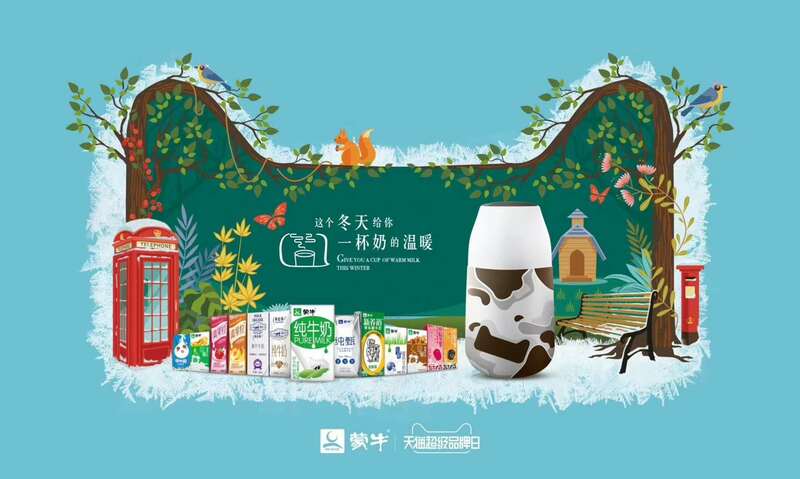 We consider how to create an unique and interesting experience for the CSR program for 7-ELEVEN which owns the most convenience stores in Taiwan to attract people? 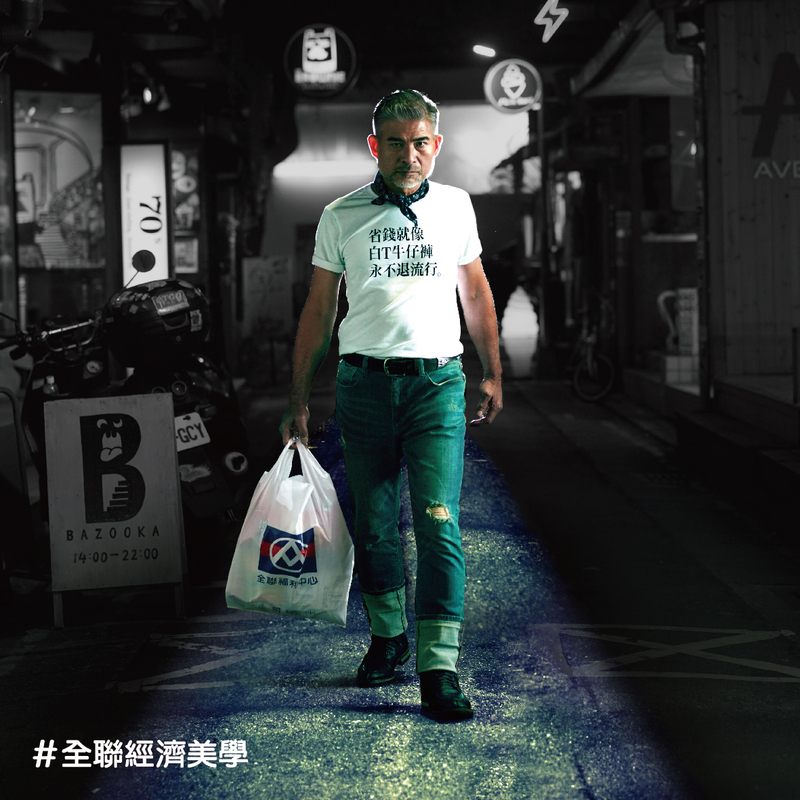 We found a strong reason to believe – convenience store are the easiest and common place for loose change to happen. Hence, we created the “Rhythm of Love Wall” donation box. 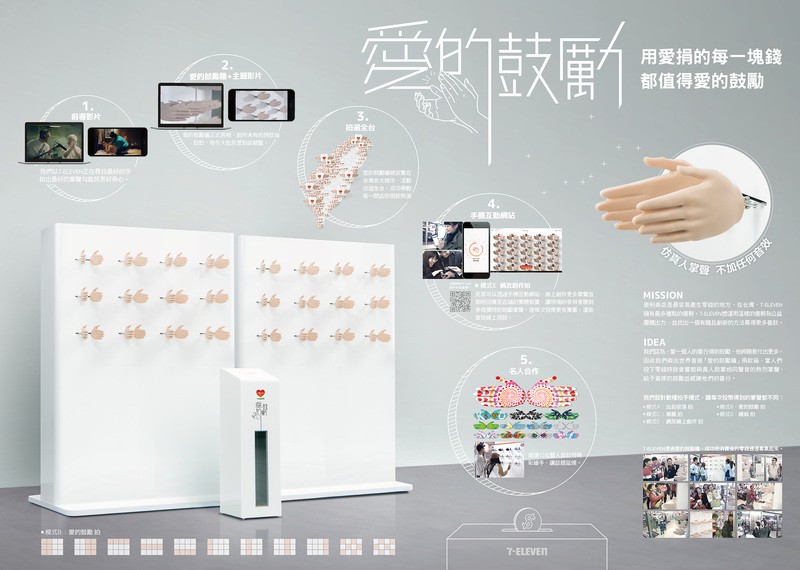 In order to show our gratitude to donators, we develop every pair of hands to produce authentic clapping sound and motion like real human hand. Idea: Every coin donated with love deserves a loving encouragement. People will receive a different applause each time when they insert coins. This not only gives a direct gratitude for their good deeds, at the same time, people could feel the joy of being encouraged. It makes them want to give more! Eggo, the beloved toasted waffle, wasn’t making it beyond the breakfast table being stuck in the freezer at Walmart. 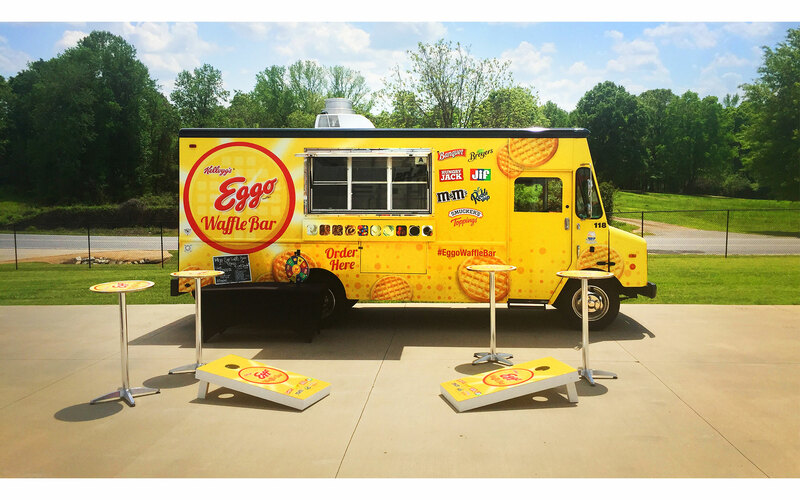 So getting out of aisle resulted in The Eggo Waffle Bar Food Truck roaming Texas and inspiring shoppers with tasty new combinations and waffle-themed fun. The results saw the frozen aisle become a shopper destination with an increased buy rate from 1 Eggo item per basket to 4 total Eggo items per basket at activation stops. Changing shoppers’ perceptions of Eggo waffles forever. 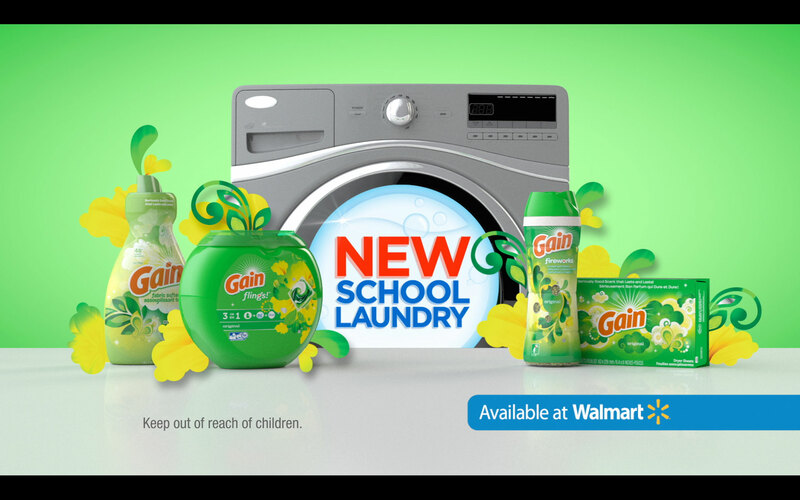 If Walmart shoppers are content with just using their regular liquid detergent, how do you convince them to expand their laundry routine to include laundry-improving additives? Our New School Laundry program brought education, sampling, and couponing together to convince shoppers to try the latest advancements in laundry enhancers. This robust initiative brought in record-breaking sales of laundry additives and improved overall P&G laundry care sales at Walmart. And best of all, our Walmart moms discovered softer, fresher clothes and sheets. Now that’s the new school way to wash.